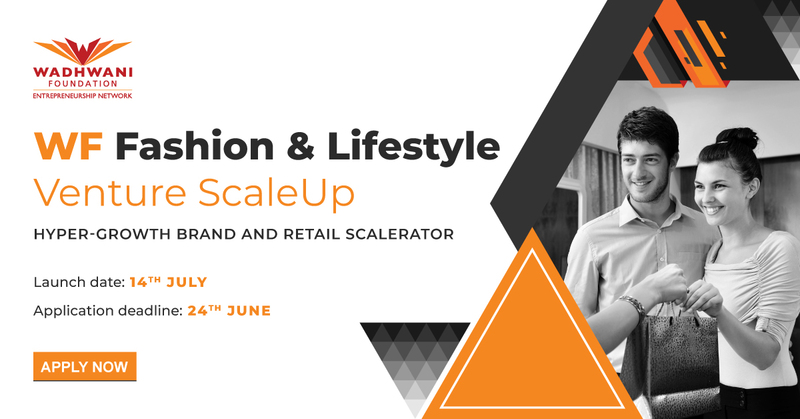 WF Fashion & Lifestyle Venture ScaleUp is a growth-focused scaleup program for emerging fashion & lifestyle companies in India to drive brand visibility and retail sales across channels. The program is structured to scale revenue possibilities for companies by ACCELERATING CORPORATE-CUSTOMER ENGAGEMENTS. Our portfolio companies will gain access to fashion & lifestyle brands, channel partners and retail chains in addition to marketing and advertising support. As one-of-its-kind scalerator for fashion & lifestyle companies in India, the WF Fashion & Lifestyle Venture ScaleUp brings deep industry linkages for scaling both supply and demand for consumer packaged goods.